Today Intel is bring the fastest desktop processor ever to market with the Core i9-7980XE. This an 18 core monster that brings Intel’s originally server-only HCC die down to the desktop. This time last year Intel’s best desktop CPU topped out 10 cores. Thanks to increased competition in the form of AMD’s Ryzen and Ryzen Threadripper CPUs Intel’s opted to go even bigger this year by nearly doubling the core count of its top desktop SKU. The obvious points of comparison for the i9-7980XE are the i9-7900X which is the fastest desktop version of the smaller LCC die and AMD’s Ryzen Threadripper 1950X which is the current reigning desktop performance champion. 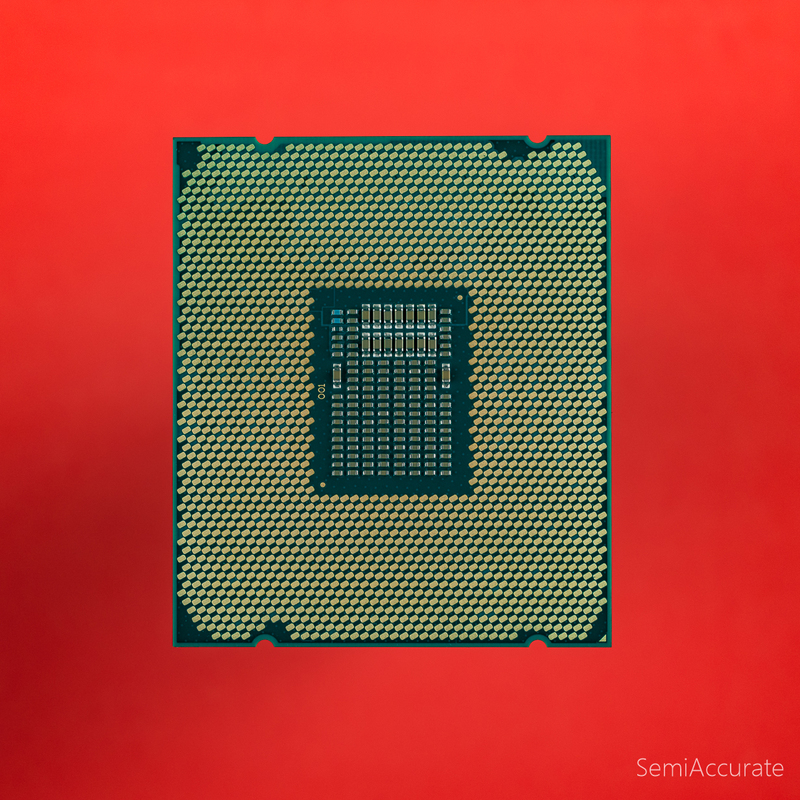 Unlike AMD’s Threadripper chips which use a pair of Zepplin dies the Core i9-7980XE uses a single monolithic die that’s about 428mm2 in size. For comparisons sake the Zepplin die is ~213mm2. Generally speaking sizes above ~300mm2 have been reserved for GPUs and extreme server parts. Seeing the HCC die in a desktop part is just another example of how competition is energizing the market. Thanks to Intel’s commitment to consistent scalibility with the Skylake generation of parts the HCC die maintains the same cache to core ratio of the smaller LCC die where there is 1.375 MB/s of cache per core for a total of 24.75 MBs on the full-fat 18 core part. One of the most impressive features that Intel’s been offering with these Skylake-X parts is Turbo Boost Max Technology 3.0 which enables Intel’s higher core count parts to offer similar single threaded performance to their lower core count siblings which have traditionally held a significant lead in terms of raw single core clock speed. In its top turbo state the i9-7980XE is able to hit 4.4 Ghz on two of its cores which spares it the traditional weaknesses of many core chips in the HEDT market. It’s high core count does come at the cost of a 165 Watt TDP and a 2.6 Ghz base clock speed. 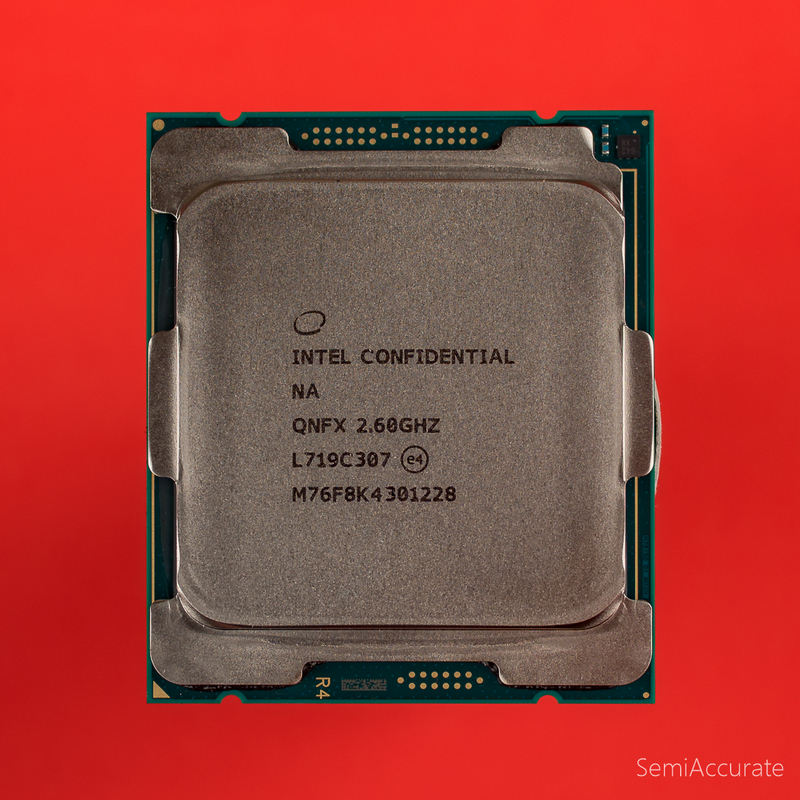 While single and lightly threaded performance is still very much a topic of interest for a desktop processor what we’re really here to see is exactly how far the i9-7980XE is able to push the multithreaded performance envelope up. These results are not what I expected. First up we’re seeing pretty similar performance in our single-headed testing when comparing this chip to AMD’s Threadripper. In our testing of the i9-7900X we saw Intel take a 20 to 30 percent lead, but with the i9-7980XE that lead has all but disappeared. On paper singlethreaded performance should be similar when comparing Intel’s two Core i9 chips, but in practice it turns out there is a cost to having 18 cores. 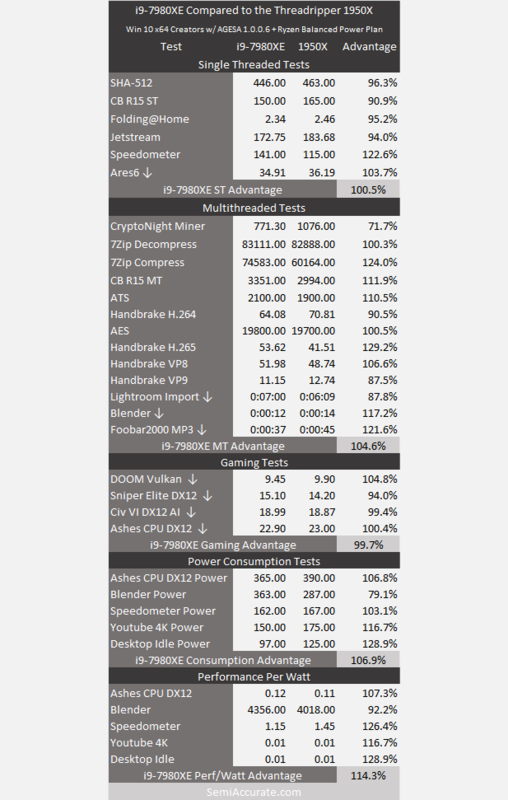 What’s not surprising to see in these results is that the i9-7980XE largely pulls ahead in our multithreaded testing. In the case of our h.265 transcoding test the i9-7980XE has a nearly 30 percent lead. Although the i9-7980XE doesn’t win in all of our tests and its lead is much smaller in most benchmarks. On average it’s only about 5 percent faster than AMD’s Threadripper. Comparing the i9-7900X directly to its 18 core sibling we can see that the 7900X has a clear lead in single-threaded performance and only loses by 15 percent on average in our multi-threaded testing. Intel’s Core i9-7980XE does clearly offer better multithreaded performance, but it comes at the cost a significant amount of single-threaded performance.